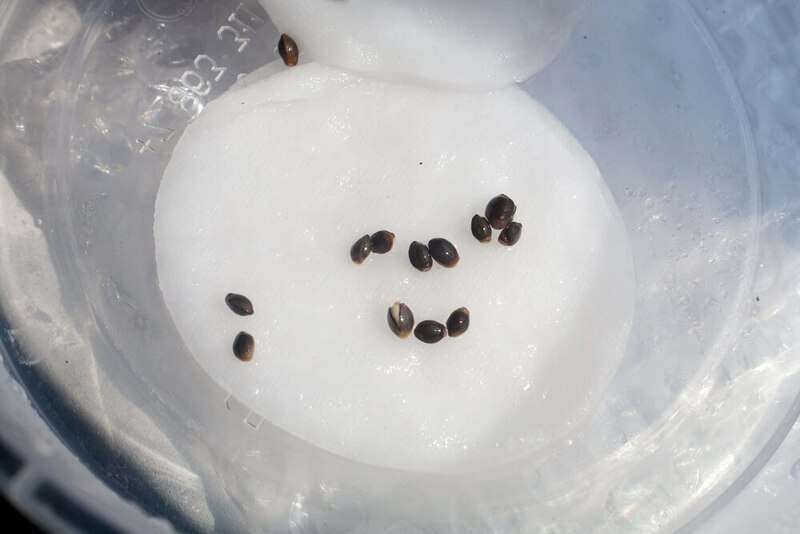 Seed germination is the very first step to growing cannabis. 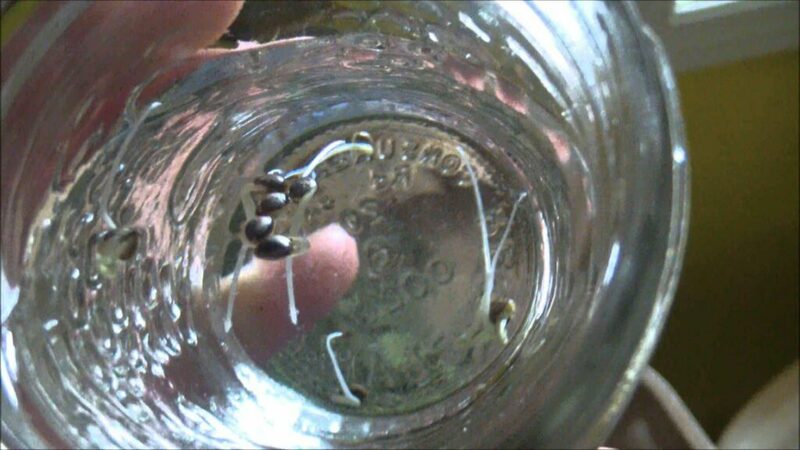 Cannabis germination is the process of inducing sprouting to your seeds. Essentially, your goal is to make a small, white protrusion also known as the taproot to emerge from within the seed. The moment this tiny and tender offshoot appears, your plant’s life officially begins. Within a few days, the first few leaves (cotyledons) of the marijuana plant will start to appear, growing into a vigorous, healthy plant! Naturally, this process creates questions for any newbie growers out there: How to germinate seeds correctly? How to germinate quickly? 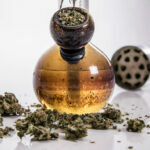 Is there a right way and a wrong way to grow weed seeds? It’s easy to get flustered, but thankfully, it’s just as easy to get started. 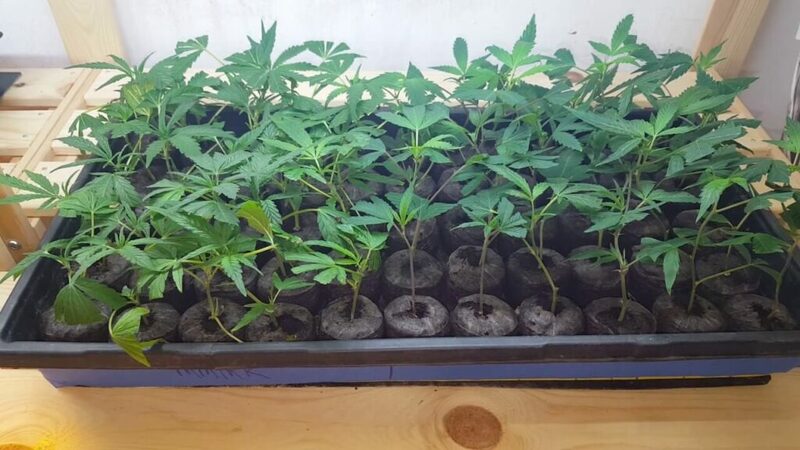 Let’s look at marijuana seed germination in greater depth! We have already explained many times over different posts that getting the right seeds is the first step towards a great harvest. Although you might be tempted to buy a cheap seed mix or grow random stuff, don’t do it. There are so many reputable seedbanks out there that it is impossible not to find what you are looking for. That being said, always go for feminized seeds, unless you want to dabble with breeding. There is no worse feeling for a grower to suddenly discover that one or more of their plants have turned out to be male or, god forbid, that the pollen sacks have burst, germinating the females. Feminized seeds will turn out female about 90% of the time. Color: Green-ish or pale white marijuana seeds are usually not mature enough to sprout. 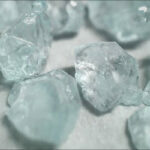 Quality seeds have a dark, glimmering color. Hardiness: Some growers say that you should try to crush a seed between your fingers to determine its health. However, this is more of an urban legend rather than sound advice. 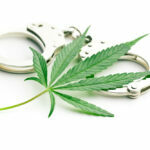 As long as a marijuana seed can sprout, it should have a chance to sprout! Also, most seeds will last for years and years without being germinated if kept in a dark, cold place (fridge, anyone?). Although age plays a negative role in a seed’s ability to grow, there are no cumulative data to suggest that cannabis seeds can go bad. Some growers have even managed to germinate 10-year old seeds! Necessary due diligence will do the trick when selecting your seeds. Good quality seeds might cost more, but they are an infinitely better choice for your marijuana garden. You just need to concentrate on providing them with the right germination conditions! 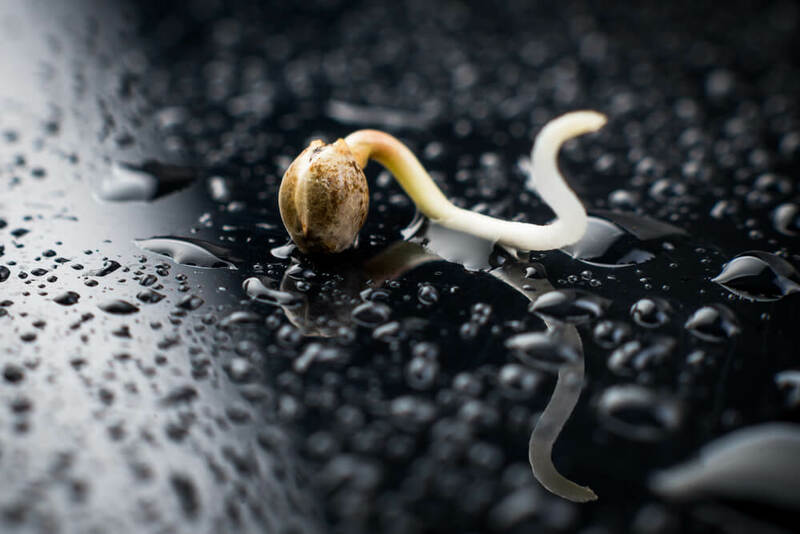 Germinating Marijuana Seeds: What Do You Need? Warmth: When we say warm, we mean springtime warm and not scorching hot. As long as the seed “thinks” its time to wake up from its slumber, it will be easier for it to germinate. Moisture: On a similar note, you should never, under no circumstances let your germinating seeds dry up. Whatever method you choose, keep things moist (not wet). Darkness and peace: After you have initiated the process, there is nothing more you can do except wait for a few days. Check every 12 hours to see if the taproot has appeared. My Seeds Have Sprouted! What now? This depends on the germination method you decided to follow (more on that in the next section). However, you should never let the taproot dry out and avoid touching it, as it can easily snap off or get hurt. How you will plant them, depends on the germination method you picked. So, let’s go and take a look at some of the most popular ones right away. These are the most common germination techniques. Each grower has their own opinion about what’s better or now, but generally, some of them are better than others. That’s why we decided to present them from best to worst. Also, a quick side note: Whether you are growing indoors or outdoors, always start your plant indoors and re-plant it at least twice to promote root growth. An easy way to do it is to initially plant the taproot inside a plastic cup and move it to a larger container after a few days. Starter plugs or starter mats are essentially seed germination for dummies. For those wondering how to germinate weed seeds without doing any research? Starter plugs are definitely the way to go. They take all the guesswork out of the entire process and also avoid any extra handling of the germinated seeds. Starter plugs (Rapid Rooters) have holes that are designed explicitly for your seed (please don’t take this the wrong way). Just stick the seed in the hole and pinch the thing together with your finger. Water thoroughly and that’s it. Seriously, that’s the whole thing. What’s even more exciting, is that this method is suitable for all growing mediums. Things get a bit more complicated with Jiffy pellets (recommended only if you are growing on soil or coco coir). These gizmos come shaped like a hockey puck, but once submerged in water, they expand into a full sized incubation space for your seed. Once expanded, similarly use them as the starter plugs. Both Rapid Rooters and Jiffy Pellets are readily available in garden stores or on Amazon. Although there are free alternatives, this is a surefire way to getting the guesswork out of germination and protect your investment. So, if you can spend an extra $10-$20, go for this method. 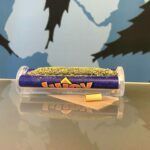 Dampen two pieces of paper towel and sandwich the cannabis seeds between the two sheets. Place on a plate and cover with a second plate to retain the added moisture. Check often: The paper towels will naturally dry out, so keep adding water over the next few days to maintain moisture. Another method rooted in the vegetable garden (no pun intended) is the soaking method. This method is particularly handy for harder cannabis seeds, plus it’s easy to monitor. Simply place your seeds into a glass of room temperature water. Allow soaking for up to 32 hours. Any longer then you run the risk of drowning your seeds before they germinate. As the seeds begin to hydrate, they might start to sink. This is natural and helps to separate the healthy seeds (sinkers) from the unhealthy ones (floaters). The really eager seeds might even sprout in the glass of water. After 32 hours, remove any unsprouted seeds, and revert to the paper towel method. This will give any slow starters a break from their bath, but continue to keep them moist. Once sprouted in the water bath or later on the paper towel, seeds are ready to plant. The lazy grower’s technique is to straight-up plant it directly in the soil or soil substitute. Especially for the amateur, who doesn’t understand the nuances of soil pH balance, nutrient requirement, and humidity, planting directly is a risky move. With that being said, many people have accidentally grown healthy plants by planting a seed as a joke. Although it is not the best approach, this method has quite a few benefits. First of all, you don’t run the risk of touching the taproot, nor put it through the ordeal of a transplant right away. If you are growing in soil, plant the seed about 1.4cm (1 inch) deep in moist soil. It helps if you have some kind of light or heating pad to keep it warm in the first few days. You should follow a similar approach in soilless mediums as well. Do not touch the root! Gently place the seedling root down into the starter plug or a pre-poked hole in the soil. It should sit on the surface, being still visible. Soil should still be moist but not saturated. Some seeds will almost instantly sprout above the surface, forming two little starter leaves. Other seeds might take a few days. Be patient. 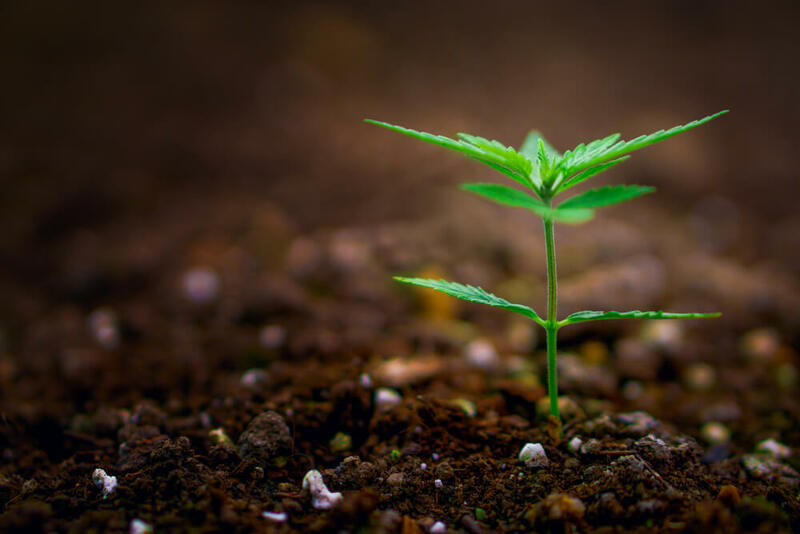 If there has been no activity within ten days, it might be best to try again as the cannabis plant likely won’t grow to be a productive plant. While you could always plant the seedling directly in its final container, this is not recommended for two major reasons. First of all, it is more difficult for a plant to get oxygen when it is surrounded by massive amounts of growing medium. A weaker root system means that the plant will develop more slowly, leading to stunted growth. The second reason is that a tiny plant in a big container is very easy to drown. So, an ideal replanting schedule involves three steps. It is better to replant earlier rather than later. Plants that have been left in a starting container for too long risk becoming “root-bound.” That happens when the roots grow too large for the container, asphyxiating the plant. If the plant absorbs water within a day, then it is time for replanting. When it is time to transplant the seedling, use a plastic knife to separate the whole system from the container. It goes without saying that you should NOT grab the plant by the stem and pull it out. Or at least if you do, record a video. Dig a hole in the middle of the new container to make room for the root ball. Make sure its size is similar to the previous container to fit everything inside. Make sure that the existing growing medium is moist before attempting the transplant. If all of the above scares you, feel free to stick the germinated seed directly to the final container. However, expect slower development and be careful with how much water you give your plant! Marijuana writer and journalist. 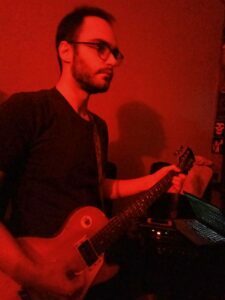 When I am not working, I spend my time playing music, working out, traveling, binge-watching stuff on Netflix and trying to stop my cat from chewing on my laptop cables.